For other uses, see Glyph (disambiguation). Various glyphs representing the lower case letter "a"; they are allographs of the grapheme "a"
In typography, a glyph /ɡlɪf/ is an elemental symbol within an agreed set of symbols, intended to represent a readable character for the purposes of writing. 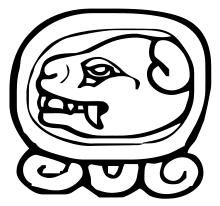 Glyphs are considered to be unique marks that collectively add up to the spelling of a word or contribute to a specific meaning of what is written, with that meaning dependent on cultural and social usage. In most languages written in any variety of the Latin alphabet, the dot on a lower-case i is not a glyph because it does not convey any distinction, and an i in which the dot has been accidentally omitted is still likely to be recognized correctly. However, in Turkish it is a glyph because that language has two distinct versions of the letter i, with and without a dot. Also, in Japanese syllabaries, a number of the characters are made up of more than one separate mark, but in general these separate marks are not glyphs because they have no meaning by themselves. However, in some cases, additional marks fulfill the role of diacritics, to differentiate distinct characters. Such additional marks constitute glyphs. In general, a diacritic is a glyph, even if it is contiguous with the rest of the character like a cedilla in French, the ogonek in several languages, or the stroke on a Polish "Ł". Some characters such as "æ" in Icelandic and the "ß" in German may be regarded as glyphs. They were originally ligatures, but over time have become characters in their own right; these languages treat them as separate letters. However, a ligature such as "ſi", that is treated in some typefaces as a single unit, is arguably not a glyph as this is just a quirk of the typeface, essentially an allographic feature, and includes more than one grapheme. In normal handwriting, even long words are often written "joined up", without the pen leaving the paper, and the form of each written letter will often vary depending on which letters precede and follow it, but that does not make the whole word into a single glyph. The term has been used in English since 1727, borrowed from glyphe (in use by French antiquaries since 1701), from the Greek γλυφή, glyphē, "carving," and the verb γλύφειν, glýphein, "to hollow out, engrave, carve" (cognate with Latin glubere "to peel" and English cleave). The word hieroglyph (Greek for sacred writing) has a longer history in English, dating from an early use in an English to Italian dictionary published by John Florio in 1598, referencing the complex and mysterious characters of the Egyptian alphabet. The word glyph first came to widespread European attention with the engravings and lithographs from Frederick Catherwood's drawings of undeciphered glyphs of the Maya civilization in the early 1840s. In graphonomics, the term glyph is used for a noncharacter, i.e. either a subcharacter or multicharacter pattern. Most typographic glyphs originate from the characters of a typeface. In a typeface each character typically corresponds to a single glyph, but there are exceptions, such as a font used for a language with a large alphabet or complex writing system, where one character may correspond to several glyphs, or several characters to one glyph. In archaeology, a glyph is a carved or inscribed symbol. It may be a pictogram or ideogram, or part of a writing system such as a syllable, or a logogram. A glyph is "the specific shape, design, or representation of a character". It is a particular graphical representation, in a particular typeface, of an element of written language, which could be a grapheme, or part of a grapheme, or sometimes several graphemes in combination (a composed glyph[note 1]). If there is more than one allograph of a unit of writing, and the choice between them depends on context or on the preference of the author, they now have to be treated as separate glyphs, because mechanical arrangements have to be available to differentiate between them and to print whichever of them is required. The same is true in computing. In computing as well as typography, the term "character" refers to a grapheme or grapheme-like unit of text, as found in natural language writing systems (scripts). In typography and computing, the range of graphemes is broader than in a written language in other ways too: a typographical font often has to cope with a range of different languages each of which contribute their own graphemes, and it may also be required to print other symbols such as dingbats. The range of glyphs required increases correspondingly. In summary, in typography and computing, a glyph is a graphical unit. ^ For example, the sequence ſi contains two characters, but can be represented by one glyph, the two characters being combined into a single unit known as a ligature. Conversely, some older models of typewriters require the use of multiple glyphs to depict a single character, as an overstruck apostrophe and period to create an exclamation mark. ^ see the Oxford English Dictionary under headword "cleave" for the cited Greek etymology. ^ "Home : Oxford English Dictionary". www.oed.com. Retrieved 21 February 2017. ^ "Maya". Ancientscripts.com. Retrieved 6 February 2018. This page was last edited on 4 April 2019, at 08:30 (UTC).